Four engines, five trims for Italian brand's 3 Series rival. Alfa Romeo has started taking orders for its new Giulia sports saloon, the car the Italian brand hopes will challenge the BMW 3 Series. 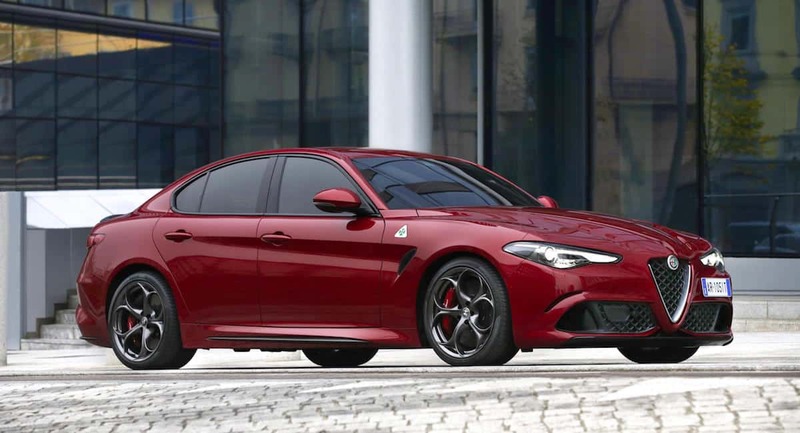 Available in five trim levels and with four engines, the most powerful of which boasts a sub four-second 0-62mph time, the Giulia is expected to sell on a combination of its rear-wheel drivetrain and perfect 50/50 weight distribution. Prices will start from £29,180, and the powertrain choice will be between a 2.0-litre turbo petrol unit of 200hp, a pair of 2.2 diesels with either 150 or 180hp, and the range-topping Quadrifoglio with its 3.0-litre V6 of 510hp. The 2-litre petrol unit will only be available with a new eight-speed auto transmission with steering-wheel paddles –the two diesels are also set to be offered with six-speed manual units. The five trim levels are dubbed Giulia, Super, Tecnica, Speciale and Quadrifoglio and all can be ordered now except for the Speciale, for which orders open later in October. Quadrifligio prices start from £59,000. All Giulias are supplied with a wide suite of safety aids, which helped the car gain a EuroNCAP five-star safety rating with the highest 98 per cent adult protection score yet recorded in a crash test. Even entry-level Giulias include Forward Collision Warning (FCW) with Autonomous Emergency Brake (AEB) with pedestrian recognition, Integrated Brake System (IBS), and Lane Departure Warning (LDW) among their standard equipment. Alfa Romeo UK country manager Damien Dally insists that the Giulia is a true driver’s car. “(It offers) beautiful Italian styling and stunning performance, and so we’re delighted to see strong early interest in the car,” he adds. The first Giulia demonstrators are expected in dealer showrooms in November.